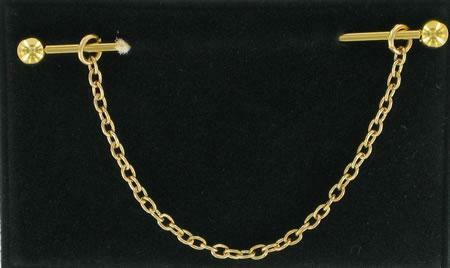 Pretty brass stock pin, ideal for keeping your stock in place when competing. This example is a straight, ball ended bar, with a hanging chain. A lovely birthday gift for any horse rider.